The diaries of Henry Morgenthau give readers invaluable insight into diplomatic life in Constantinople and Ottoman Turkey at the beginning of the twentieth century. They show how diplomats, government officials, and others interacted and influenced world affairs at a time when the world was in tumult and how they experienced momentous developments like the rise of Turkish nationalism, the outbreak of World War I and the genocide of the Ottoman Armenians. Morgenthau is best known today for his stand in defense of Ottoman Armenians, when the Young Turks embarked on the first genocide of the modern era in 1915. Were it not for Morgenthau's character, the United States would probably have remained a bystander to the Armenian genocide, rather than adopting a concerted policy of humanitarian intervention on behalf of Armenians. Thousands of Armenians survived the Armenian Genocide because of United States diplomatic pressure and significant material aid. 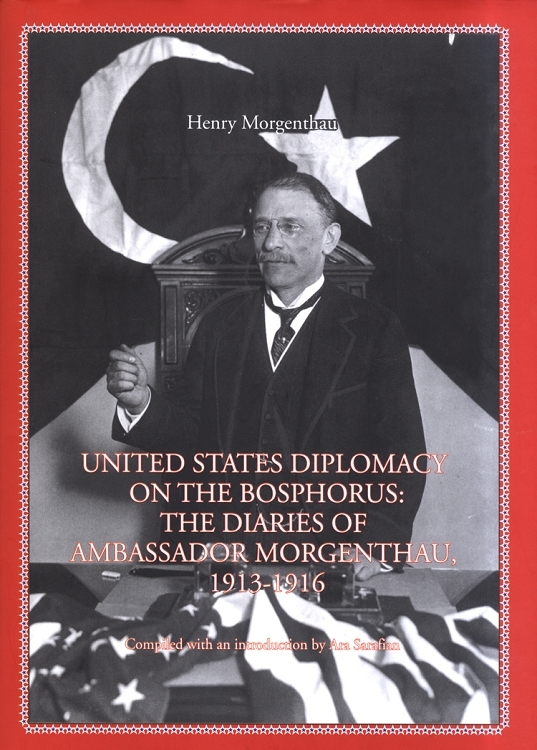 United States Diplomacy on the Bosphorus and its sister publication, United States Official Records on the Armenian Genocide, 1915-1917, demonstrate the nature of Morgenthau's understanding of the Armenian issue and the subsequent actions he took to save victims wherever he could.